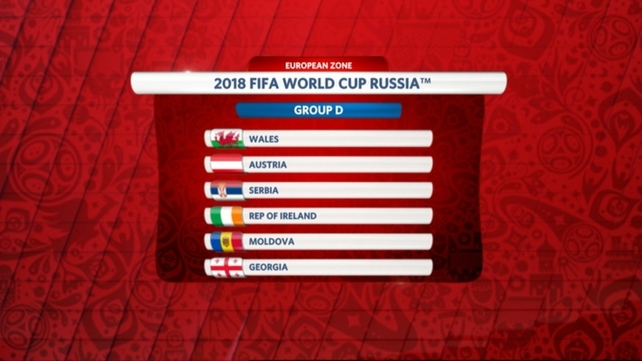 Ireland will face Wales, Austria, Serbia, Moldova and Georgia in the qualifying group for the 2018 World Cup in Russia. The Republic of Ireland were drawn in Group D and will be happy overall with how things panned out, given that they were fourth seeds going into today's draw. 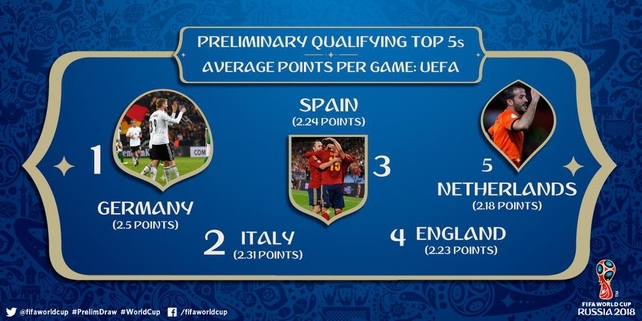 Wales are top seeds for this tournament on recent form, but would not be known as one of the powers of European football. 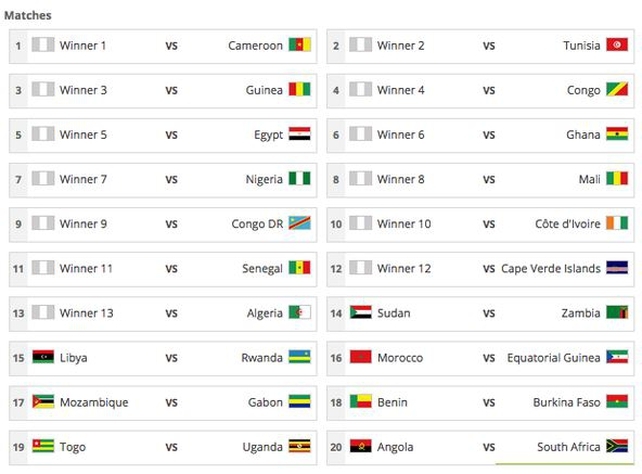 They have not qualified for a World Cup since 1958. Austria were Ireland's opponents in the qualifying group for the 2014 World Cup, with the sides playing twice in 2013. Ireland lost 1-0 away in Vienna and secured a 2-2 draw in Dublin. The home result in particular was disappointing, with Austria scoring deep into injury time at Aviva Stadium to further damage Irish hopes of qualifying for Brazil. Serbia and Ireland last met in March 2014.The defeat in the friendly was the first for Martin O'Neill as Republic of Ireland manager - the final score was 2-1 to Serbia on the night. The Serbians could prove to be Ireland's toughest opponents, with a host of top stars added to the players who recently won the U20 World Cup in New Zealand. 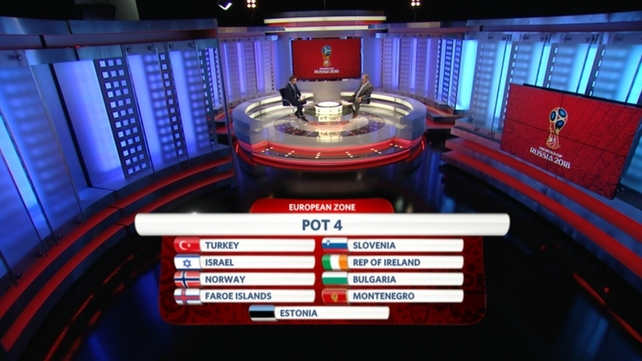 Georgia are familiar opponents for Ireland as current members of Group D in the Euro 2016 qualifiers. Ireland came away with a 2-1 victory in Tblisi last year, thanks to two goals from Aidan McGeady - the second a brilliant late effort to give Ireland the points. 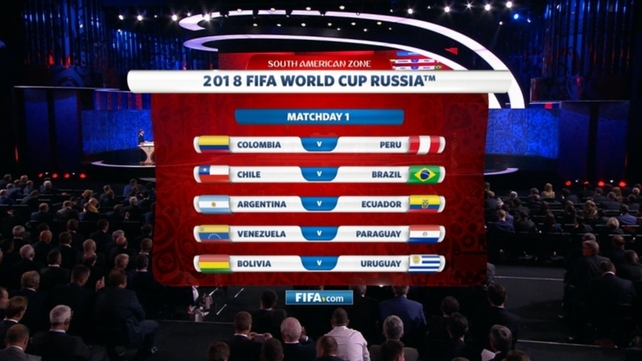 The sides will meet again on 7 September. This qualifying group will be the first time Ireland and Moldova have met in senior competition. 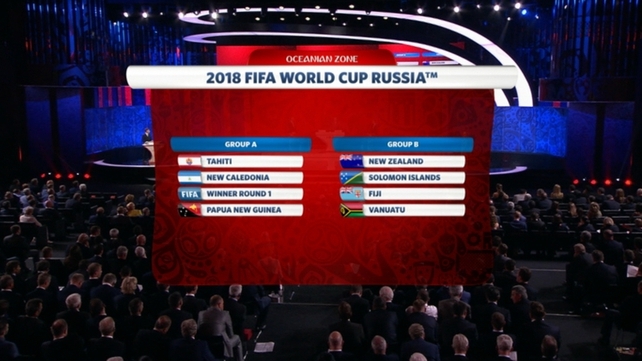 The winners will qualify automatically for the finals in Russia, with the eight best runners-up from the nine groups taking part in a play-off for the remaining places. Elsewhere in the draw, Northern Ireland will have to face world champions Germany in Group C along with the Czech Republic, Norway, Azerbaijan and San Marino. 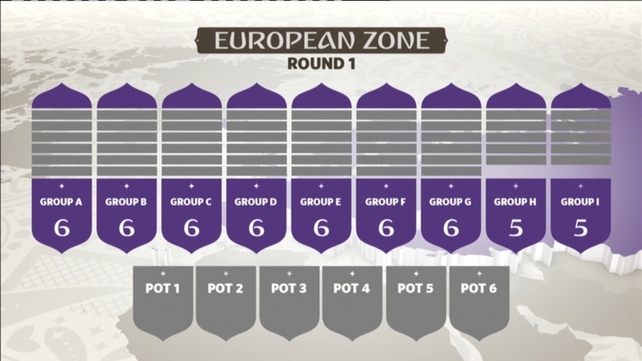 And England and Scotland were both drawn in Group F along with Slovakia, Slovenia, Lithuania and Malta. It is the first time England and Scotland have been drawn together to play a World Cup match, although the 'home nations championship' did act as a qualifying competition for the 1950 and 1954 World Cups. "He'll (manager Martin O'Neill) be very happy. 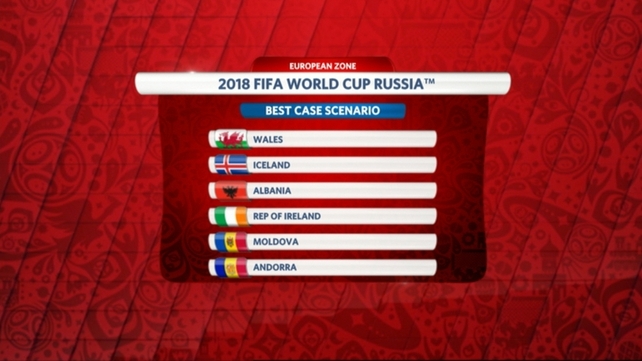 There are a lot of harder teams they could have got, but Wales will be favourite. 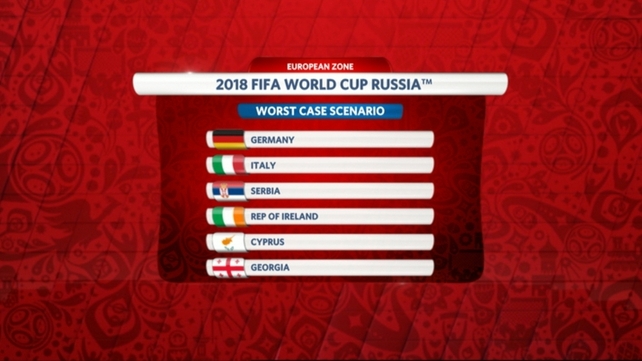 The Irish fans will be happy with that." 1737 We are having a jazz interlude in St Petersburg. Horrific. 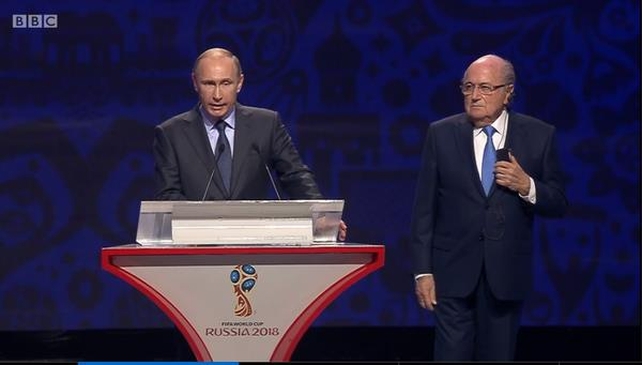 The English TV announcer on this preliminary World Cup draw is translating Fabio Cannavaro's statement. Fabio Cannavaro is speaking English. 1651 Asia is next. 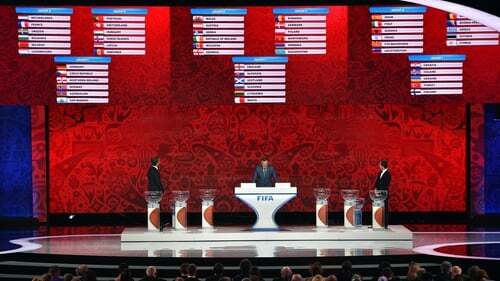 46 teams involved in this one - and there will be no draw today, as the qualification is already under way. 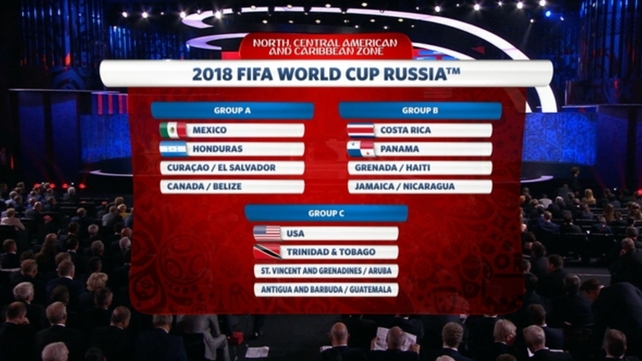 Four groups, with the first and second ranked teams qualifying - the already decided intercontinental playoff against a CONCACAF nation will await the winner of a playoff between third ranked teams. 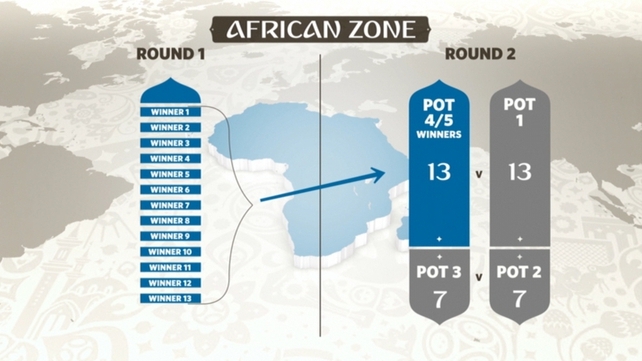 1630 Here is (part of) the complicated format for the Africa qualifier draw. 1622 First up is the intercontinental play-off draw. 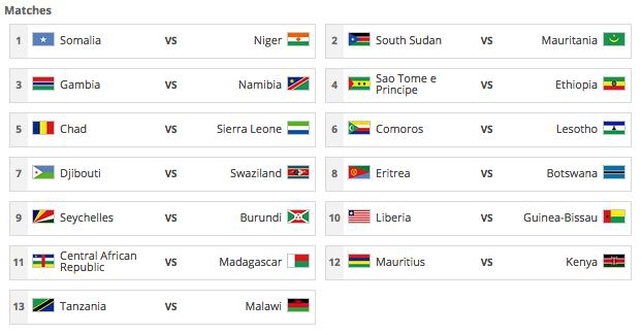 CONCACAF, Oceania, South America, Asia in this one.